Maine brings to mind summer camps by the lake, lobster bakes, sunburned noses and hammocks slung between huge trees. There’s no question that the state is a popular haven from the summer heat. Hardier year-round residents cherish the long, snowy winters. 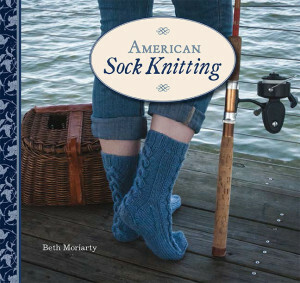 If you love knitting thick socks and wearing them most of the year, move to Maine! 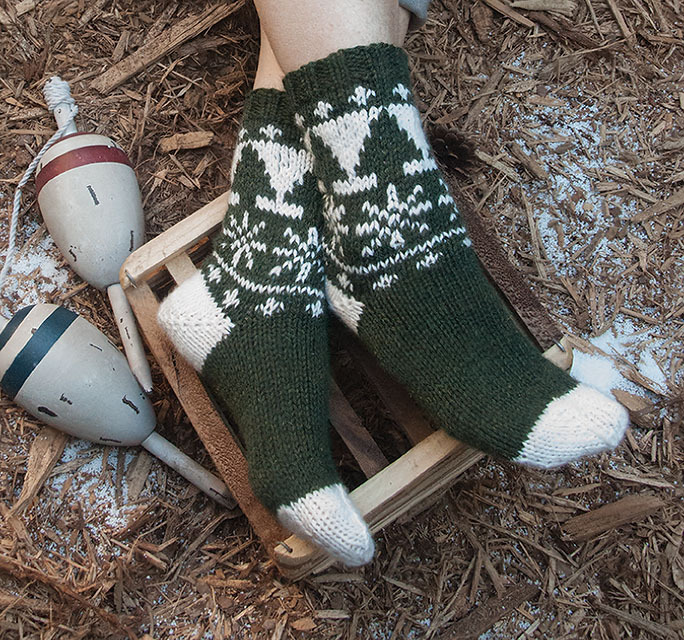 These lovely socks by Rachel Covey Brown celebrate the beauty of snow covering the pines. They knit up quickly, either to snug into your boots, or to keep your feet warm in front of an open fire.